Next Sunday, Ukrainians will go to polls to elect a new president from an unprecedented 39 candidates whose ratings keep fluctuating amid active media and outdoor campaigning with loud position statements, promises, and accusations leveled at rivals. The Central Election Commission has registered nearly 30 million eligible voters to cast ballots at almost 30,000 polling stations in 200 constituencies, plus ad hoc polling stations abroad, onboard vessels, in penal colonies, at polar stations, and in other remote sites. This election campaign has certain peculiarities: about 7% of Ukraine's territory is occupied and more than two million voters living there are left out. Ukrainian citizens living in Russia, which Ukraine legislatively defined as an aggressor state, can not vote anywhere on Russian territory. All Ukrainian polling stations in Russia have been relocated to the premises of Ukraine’s Embassies in Georgia, Kazakhstan, and Finland. As of March 22, the Central Election Commission had registered almost 2,000 observers from foreign states and international organizations, including 660 from the OSCE Office for Democratic Institutions and Human Rights. There will be no Russian observers since the Ukrainian parliament has barred "all citizens of the aggressor state from monitoring all elections in Ukraine, including under the OSCE auspices". 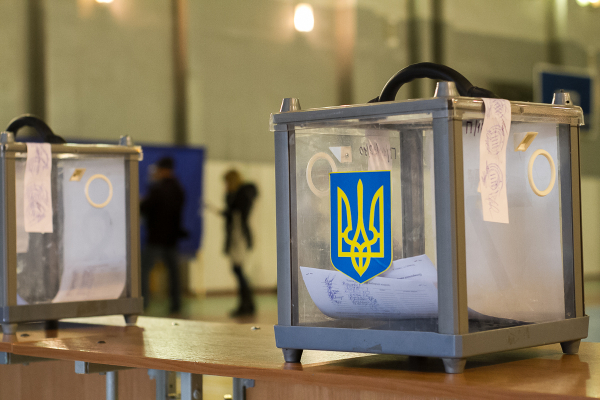 Unlike in any previous presidential elections, there is no clear favorite and none of the 39 candidates appears likely to collect the required 50%+1 vote on March 31, so a runoff is inevitable and Ukrainian voters will have to go to polls again on April 21 to choose from two highest-scoring candidates. The Central Election Commission is to name the winner by May 1 and the inauguration ceremony should take place in parliament by June 3.